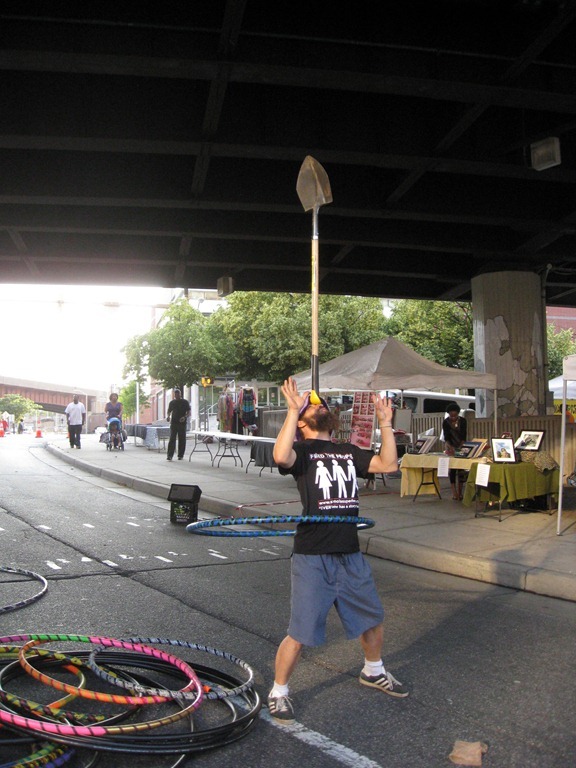 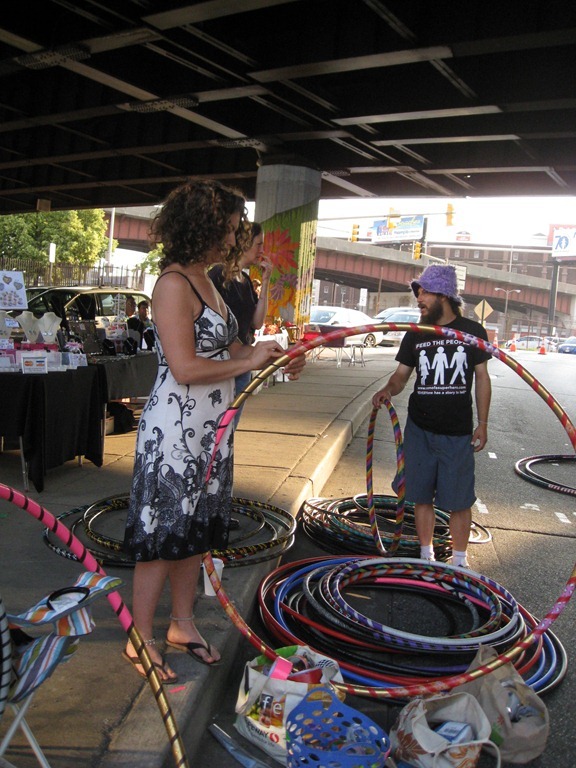 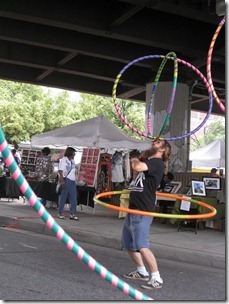 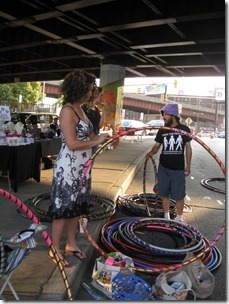 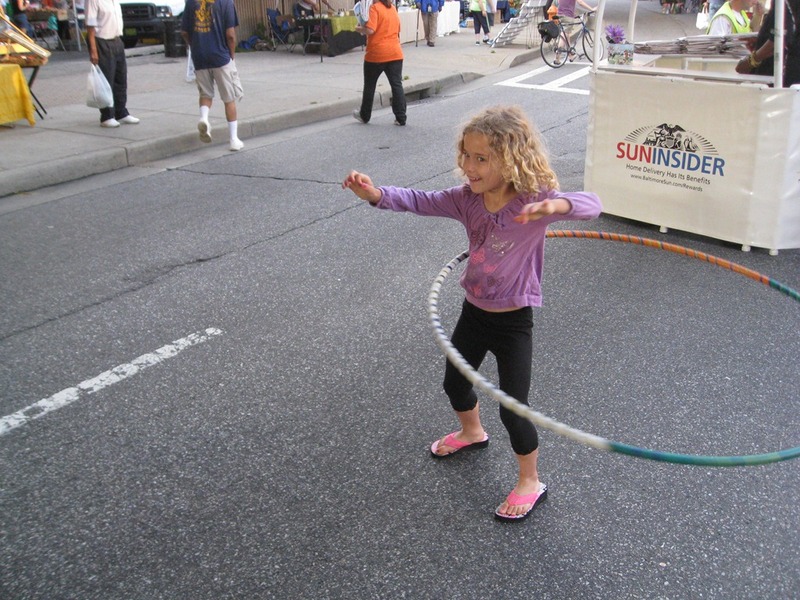 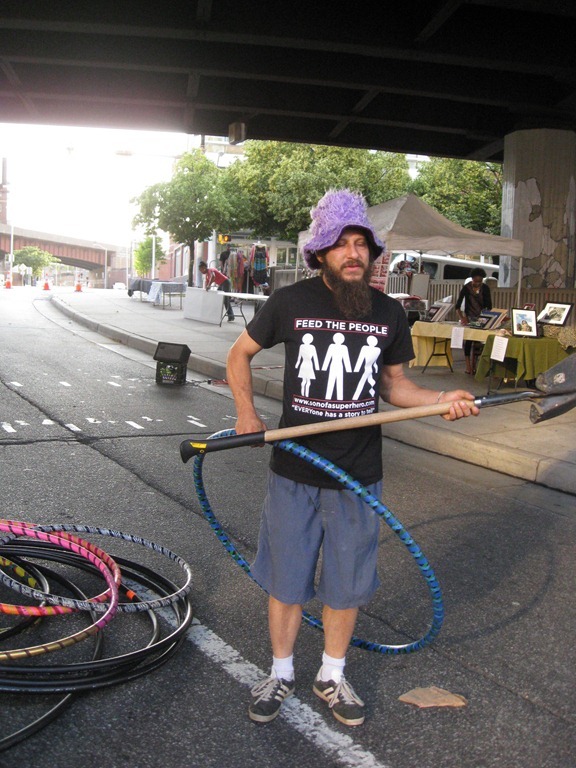 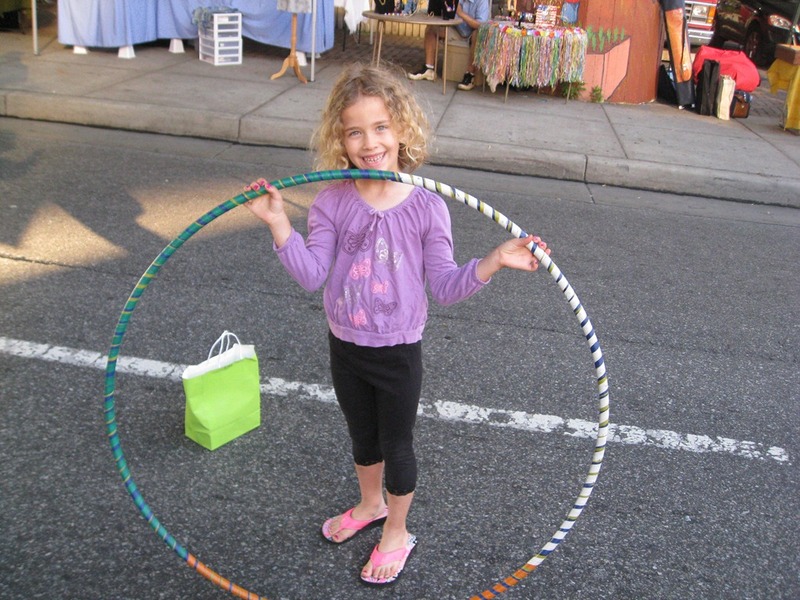 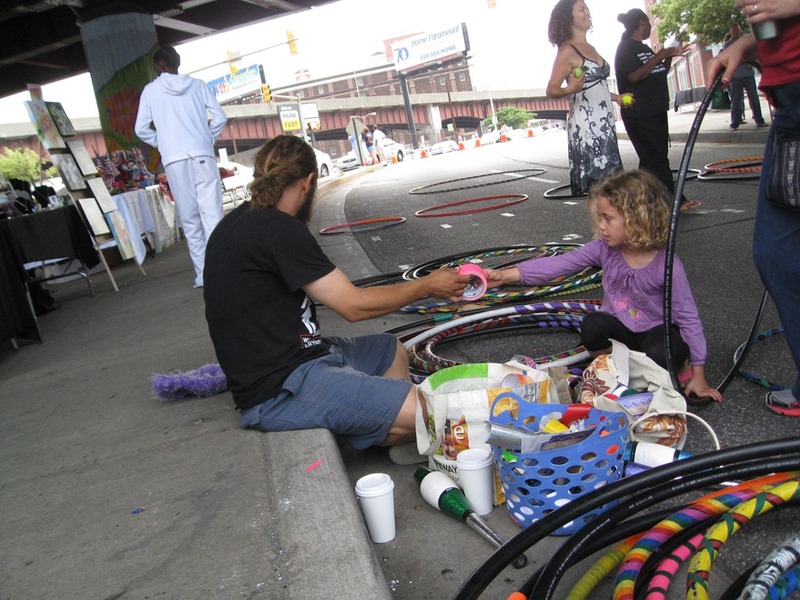 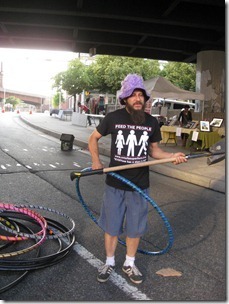 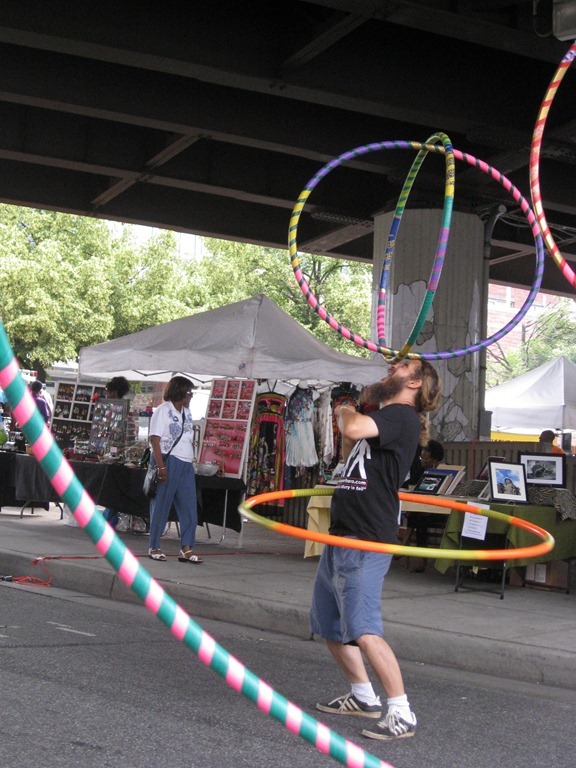 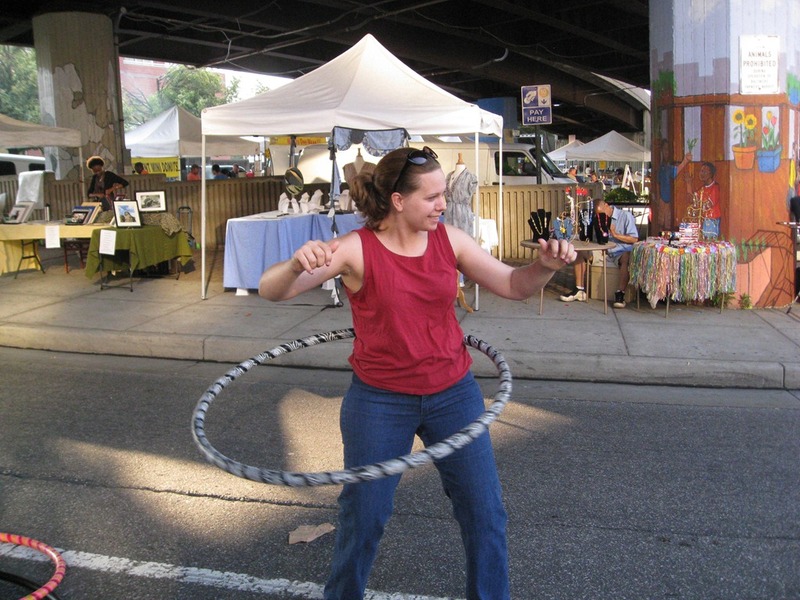 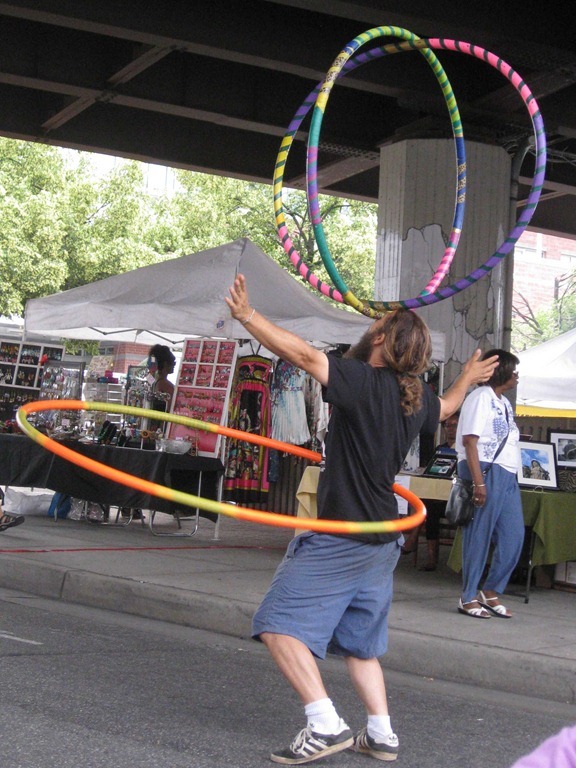 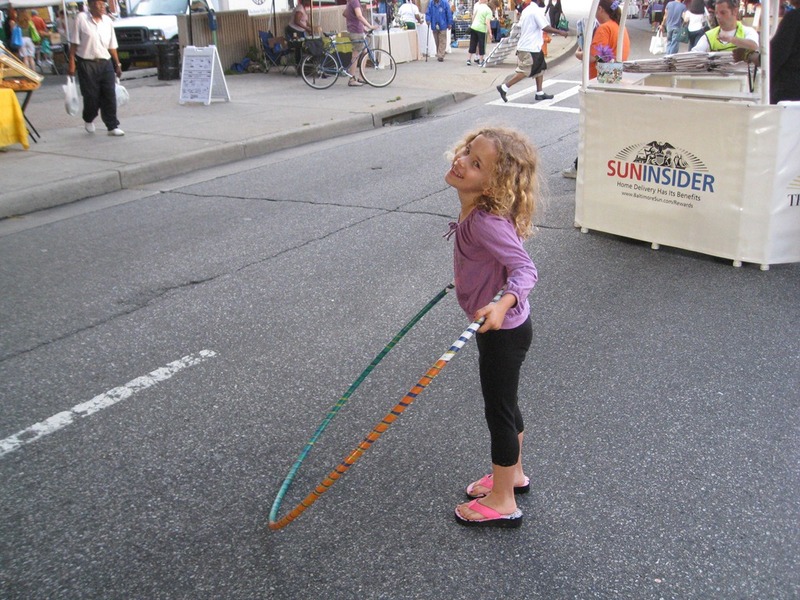 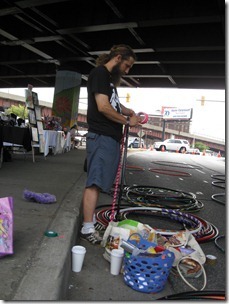 One of our favorite stops at the Baltimore Farmers’ Market last weekend was Baltimore Hoop Love. We really enjoyed watching the pros. 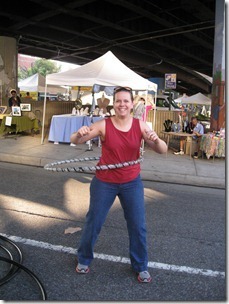 It was also fun to try out the hoops. 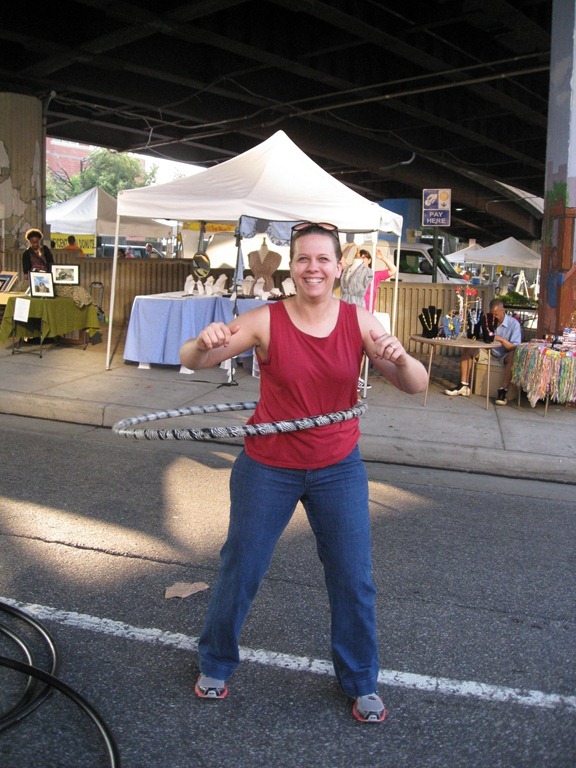 My sister takes the best photos – Always! 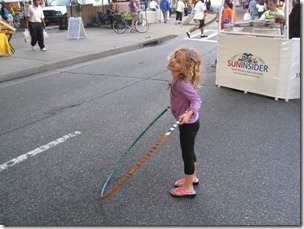 We actually stopped back after our shopping. 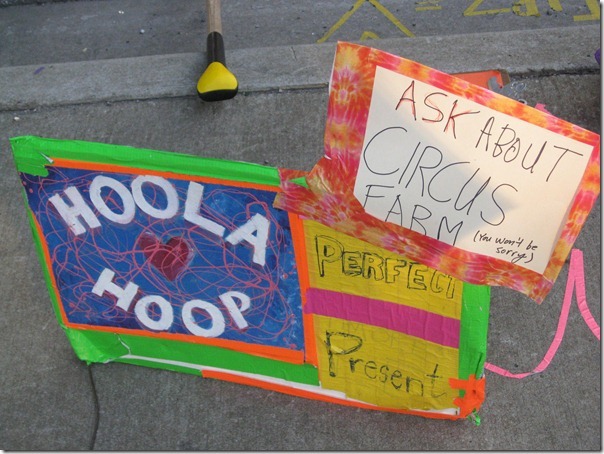 My niece picked out a hoop and picked the colors so it could be wrapped to her liking. 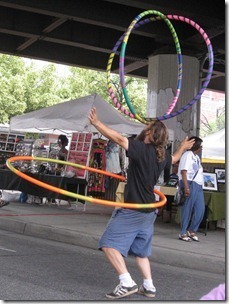 The hoops are made from PVC irrigation tubing. They are hoping to help promote local farming and farm openings with their circus type act. They are passionate about local food and the market is such a good fit for them. Before long, we were on our way back to my sister’s house. My niece has been enjoying her hoop. 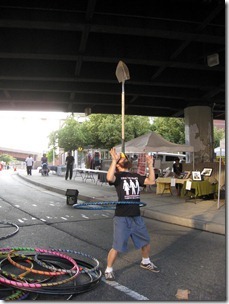 I was happy to discover that this company also does birthday parties with hoops, juggling, stilts, etc. 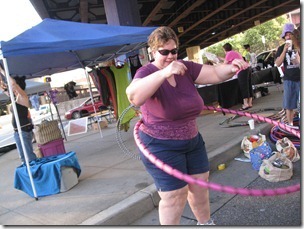 They were a ton of fun.